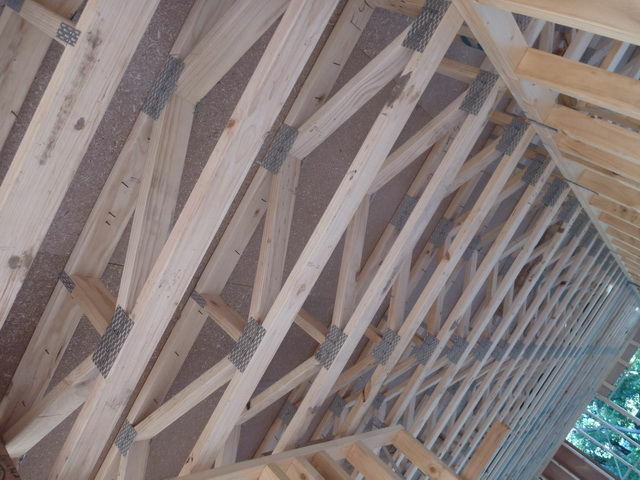 Longreach trusses are a premium performance product using nail-plated, all-timber trusses of any depth, but typically 300 mm To 400 mm deep. Longreach can be designed for all common floor loads, including commercial loadings up to 5 kPa or point loads up to 6.7 kN. 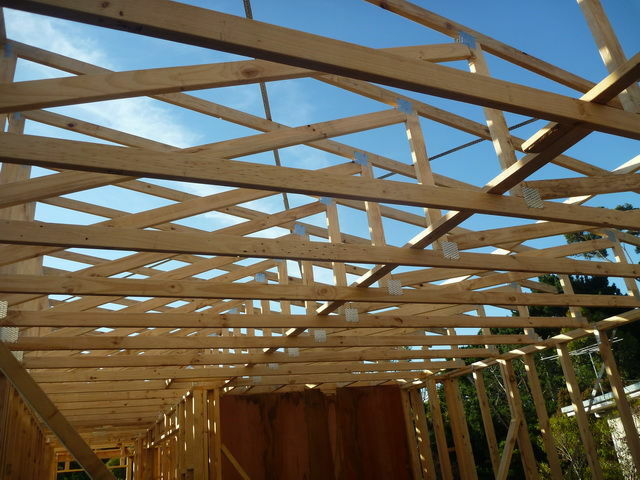 Longreach trusses are slightly heavier than Pryda Span trusses or Posi Strut. Because they are all-timber, they generally have a stiffer performance and dissipate floor vibrations very well, while the nail-plates connecting the webs and chords are quite substantial. No Hole Cutting Required. Simplifies the work of following trades. Plumbing, ventilation ducts and conduits can be simply attached to the webs or chords without any cutting or drilling holes. Floor Set-Down Feature. 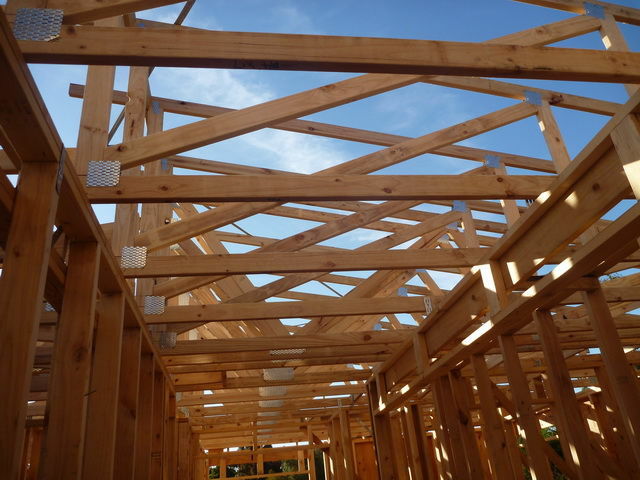 A section of Longreach floor trusses can be manufactured with a reduced depth to accommodate tiled wet areas and other floor coverings in bathrooms and on balconies. Consistent Depth. 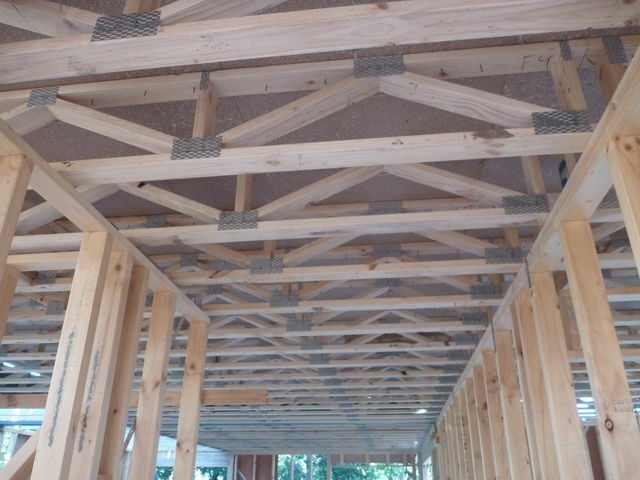 Longreach floor trusses can be manufactured to the same depth for the entire project to eliminate uneven ceiling levels at little extra cost - regardless of the variations in spans. Robust Construction. More robust than other prefabricated systems, and more able to resist the effects of mishandling.